This past Saturday I hosted a baby shower for a good friend, K. I had lots of fun planning the decor for the shower especially since she is having a baby boy- my area of expertise 🙂 . 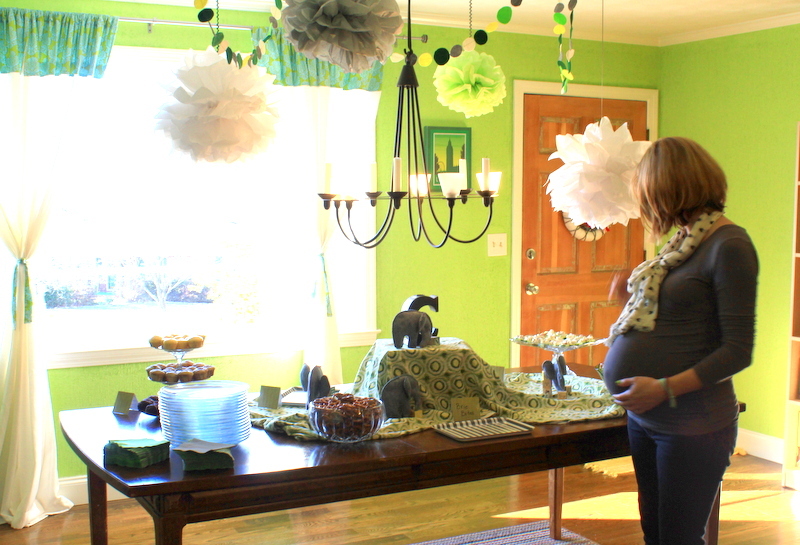 The baby room colors are grey and green which just happen to match my dining and living room colors as well! Perfect for decorating! Another friend is making the baby bedding, and I contacted her to get the details on the fabric she is using so I could buy some to use in the decor. 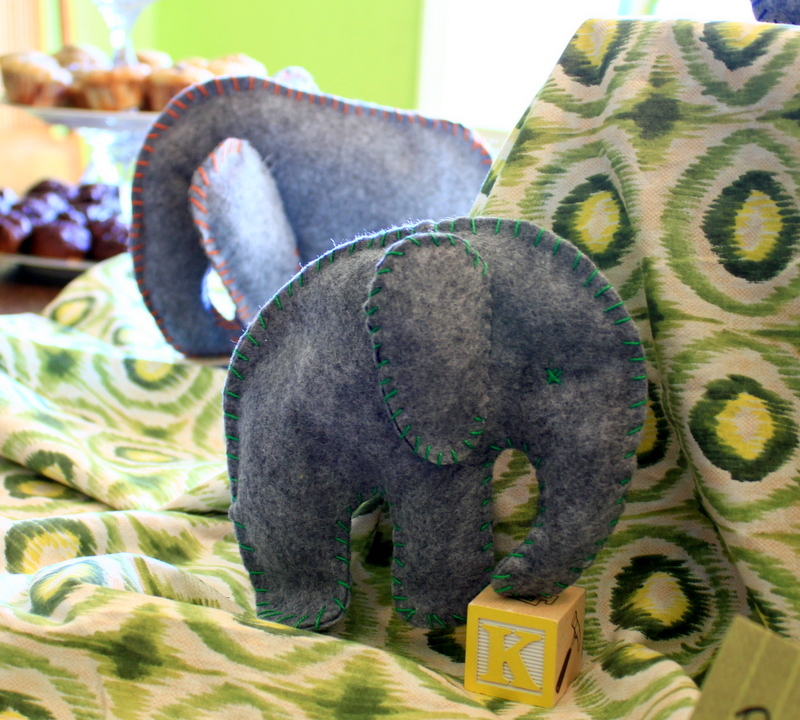 When I talked to K, she told me that she did not have a specific theme but was thinking of using some elephants as decor and really wanted a tissue pom mobile. I looked up her Pinterest wall to see what she had pinned for the baby’s room and found my perfect inspiration! I googled felt elephant templates and found the perfect one for my needs. Here is the link for any interested. I enlarged the template two different times in order to have two different sized elephants- one enlargement was about 225% and the other was about 300%. Then I gathered all the materials needed and hosted a fun crafting morning with my fellow shower helpers to get all the decor made. Together we made 5 elephants and 7 tissue poms. Later on, I made a felt circle garland and name bunting. I am so happy with how all the decor turned out as it was my first time making the tissue poms and I was a bit apprehensive that they wouldn’t look quite right. 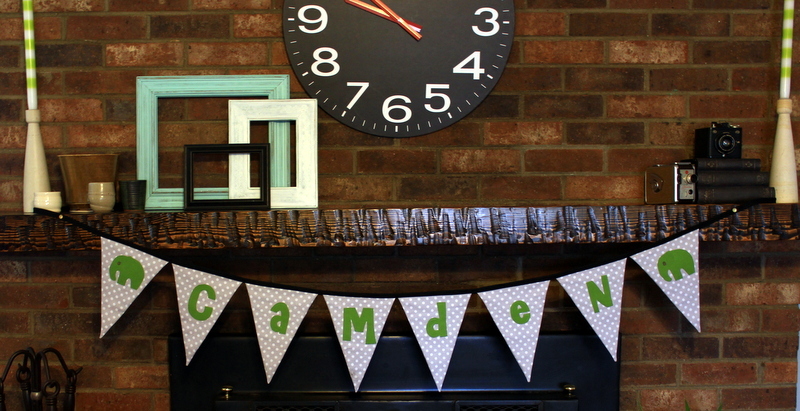 The best part is that the mama-to-be got to take all the decor home to use in her baby room! Now prepare yourself for a barrage of pictures! 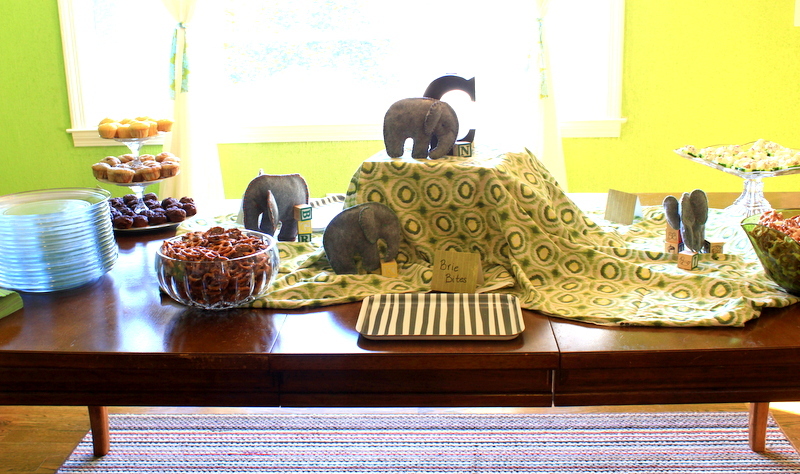 I apologize that the brightness from my huge front windows make it difficult to get a good shot of the table decor. 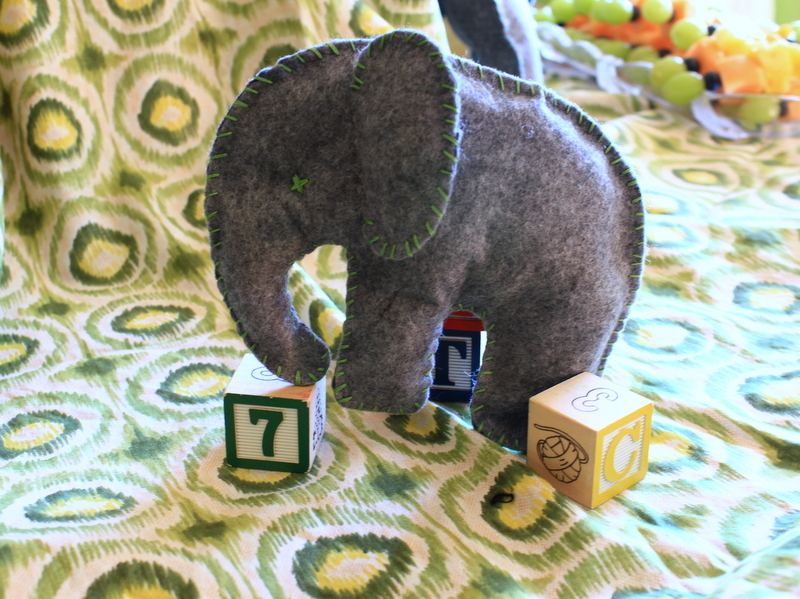 This entry was posted in Baby Shower, Gifts and tagged elephant baby shower, felt elephant, grey and green, grey and green baby room, name bunting, tissue poms by oliver's fancy. Bookmark the permalink. 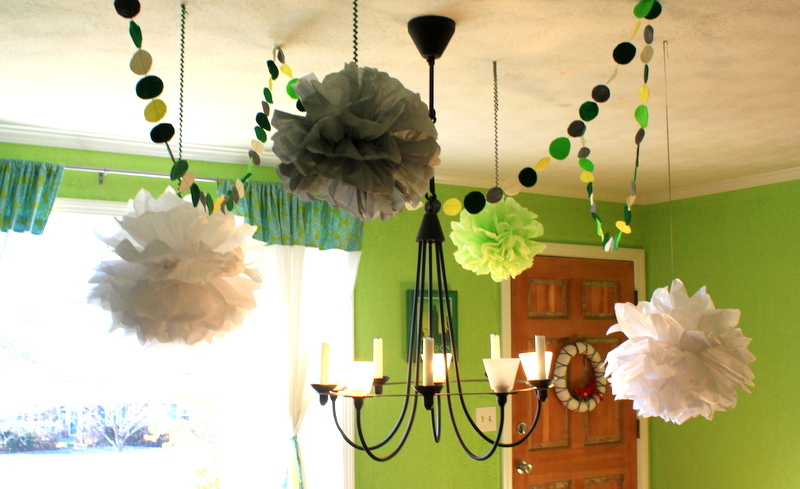 Love it:) how did you attach poms to ceiling?